 Seattle Central College provides comprehensive, quality training to prepare the next generation of early childhood education workers and social and human services professionals. Contact us about promoting internship, service learning and job opportunities for our students and alumni. In addition, Career Hub allows employers to post jobs or internships, connect with talented young professionals and engage on campus. Seattle Central College is primarily funded by public funds, but excellence often requires additional resources. By donating to a specific area of study, you can ensure that the program has the necessary equipment and programming to be successful. Programs can also often use in-kind gifts of equipment or tools. Your donation to the Seattle Central College Foundation makes a difference in the lives of our students and in the vitality of our community. Seattle Central College’s Business and Behavioral Science Division partners with local organizations to help our students hone their skills while serving our community. Contact us to discuss opportunities.